The show features exhibits that allow you to view and compare over 50 top Resort & Retirement communities from many different states conveniently at one location. • Talk with the experts: Provides a hands-on experience giving you a chance to talk with community representatives, and have all your personal questions answered. • Seminars and other presentations: You’ll be able to attend presentations covering a range of useful topics, such as - Choose Your Ideal Place, Consider Your Ideal Lifestyle and Envision Your Ideal Home. • ideal-LIVING Relocation Guide: Attendees can also pick up a free relocation guide - Choose Your Ideal Place, which is beneficial in the search for your ideal destination providing information on things like taxes, costs of living and climate. What is the ideal-LIVING Resort & Retirement Show? The ideal-LIVING Resort & Retirement Show is a convenient and fun way to explore the best places to vacation, retire, or relocate! We have helped retirees and second-home seekers find their ideal community and home for over 25 years. Whether you are just starting your search or have already chosen an area and are ready to narrow your choices, the ideal-LIVING Resort & Retirement Show is the perfect event for you. 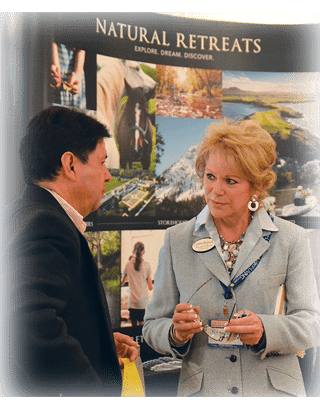 Come to the ideal-LIVING Resort & Retirement Show and Discover the Life You Want.